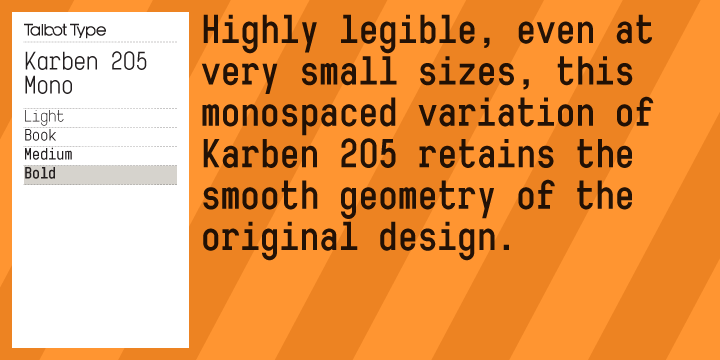 Karben 205 Mono is a typeface created by Adrian Talbot and published by Talbot Type. It is a monospaced variation of Karben 205. A font description published on Tuesday, November 6th, 2012 in Fonts, Talbot Type by Alexandra that has 3,144 views.